I recently found out about El Camino Bracelets at the #LivHelps blogger event. There was a raffle and all the prizes were out on a table for us to have a look at and see what we would like to win. I noticed a card with an image of the El Camino bracelets on and some really cute aeroplane paperclips (yes it appears that paperclips can be cute). This made me intrigued so I had a better look at it and noticed that you would be able to pick your own bracelet. Instantly I knew that this was the prize I wanted to win! To cut this story short I won a prize and managed to pick the El Camino Bracelet! I was over the moon. Now lets get on to what El Camino Bracelets are! 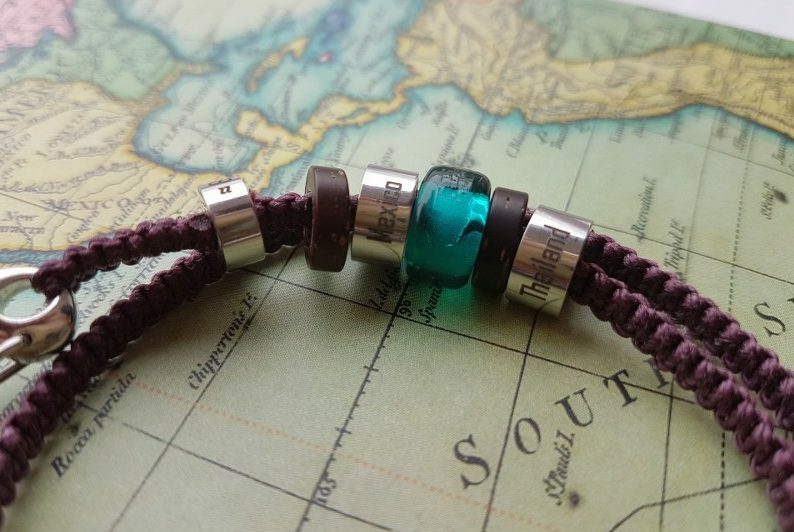 These bracelets are perfect for anyone who loves to travel. If you suffer from wanderlust then you will probably be a big fan of these. El Camino, in Spanish means the route, bypath, road, path, track or trail. The perfect word to capture everything the bracelet project stood for. Firstly you pick your bracelet length and what colour you want. There are 7 colours to choose from, I went for the purple double bracelet 42mm. The El Camino Bracelet comes in either single or double, I went for double so I can fit more on to it! Then comes the exciting bit. You get to add charms on to it that are known as ‘steps’. You pick from Country Steps, Small Steps, Region Steps and there are even Custom Steps. The steps are made from surgical grade stainless steel and are engraved with whatever step you pick on it. The Region steps are slightly different they are made from glass and have EC engraved on them, they don’t have the name of the region, instead each region is a different colour. I went for two Country steps (Mexico – where I got engaged and Thailand – where I found myself after a low point in life) and the Region step Asia. With the Country and Small steps you also get a coconut spacer, which you can see in the photo above. These mean you can really make your bracelet look unique and they help make your bracelet look a bit more interesting. You can buy extra spacers if you wish, you can get coconut, light wood or dark wood ones. These really add to the customisation of your bracelet. There are customised steps which can get and say whatever you want, as long as it is with 32 characters. These are perfect for the extra special present where you want to remember a special moment in life, like an engagement, graduation or special birthday. The bracelet itself is also definitely made to last as it is constructed from 4 woven cords, each with a breaking strain of over 34kgs! You can wear this during all your travels and not have to worry about it breaking! Perfect! When I first opened my bracelet I noticed how strong it is, this makes it stiffer than you imagine it to be. This does not make it uncomfortable to wear at all, I actually think it makes it sit better on to your wrist. I can not wait to add to my El Camino Bracelet, I have so many steps I want to get for the places I have been to. Even though they are very reasonably priced from between £8.49 – £10.99 (for the Country, Small & Region steps), it would cost quite a bit for me to get them all at once. I will also get in the habit of ordering one after each holiday I go somewhere new. I can’t wait to add Dominican Republic after November. 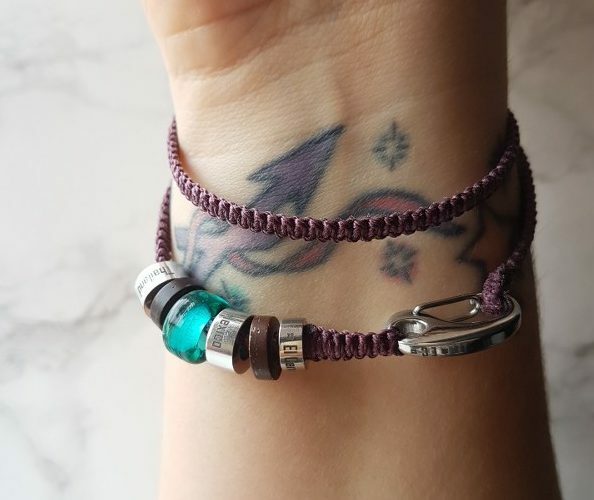 The El Camino Bracelet really would make an ideal present for the avid traveller and also helps for future gifts as they will always be wanting to add new steps (hint to my family and friends)! 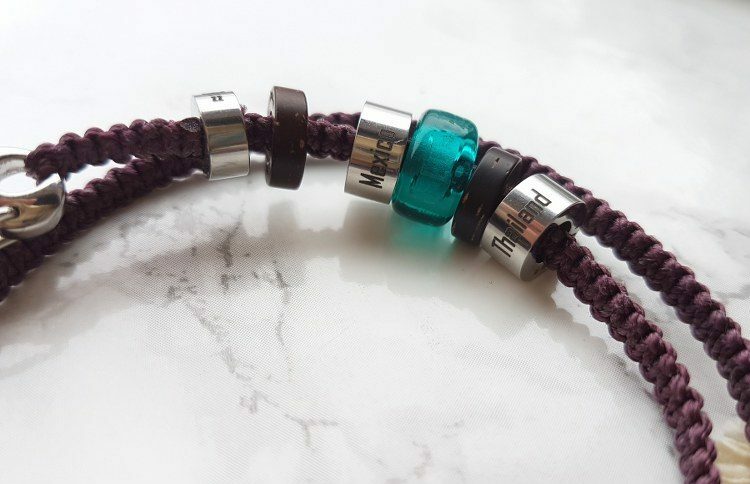 It is a bracelet you really wear with pride and a great way to keep all your special memories on your wrist. A constant reminder of everything special in your life. What steps would you pick and why? I would love to hear your wonderful stories about the places you have been to. The next couple I want to get are Sri Lanka and Cape Verde. Just found your blog after you liked something of mine on Twitter and WOW! I love these! I met my best friend in Thailand two years ago and we’ve travelled together twice since. I’m going to get this for her birthday come December! Thank you Emma and thank you for checking out my blog 🙂 I’m so glad you like it. Yes these would make the perfect present especially since you both travel together, it will be something very special.